One more week until the second Filipino Reader Conference! Have you pre-registered? Have you seen the activities on that day? 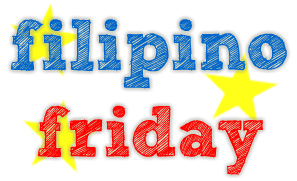 Anyway, here’s the fourth Filipino Friday to get to know more fellow booklovers! Here are the questions this week revolving around books and friends. Are you a part of a book club? If yes, what made you join one? What’s your favorite activity that you have with them? Yes, I am a part of Ex Libris Philippines since February 2007. We are a nonstock, nonprofit organization for book lovers. Aside from meeting monthly to discuss books, books, and books, we also hold fundraisers for the organization’s Scholarship Project to help send deserving but financially-challenged UP students to school. At the moment, we have provided scholarships for 16 students (5 of whom were chosen just last May after our last fundraiser). I have different sets of friends and being with people who share the same love for books, those who would understand why staying inside a five-story bookstore is a field trip, is a gift. What also makes it very interesting for me is that I get exposed to books I normally wouldn’t read. I have to admit that sci-fi/fantasy isn’t on my top five genres but with my book club, I get introduced to these amazing literary worlds. I now know who Orson Scott Card is, along with Michael Moorcock. I am also inching my way to reading the Middle Earth books. Most of our book sessions are done over lunch or dinner. We all love to eat! If time permits, we also go out of town. We had a beach trip in Batangas and spooked ourselves silly with a book session at night. We went up to Baguio last year and scoured Session Road and nearby places for books. We also raided a bookshop warehouse once. Oh man, that’s one of the best. We also go to book fairs together and get all smug (in a fun, harmless way) about our buys. We support each other whether it’s for a book trivia championship or a musical recital. Of course, we also get to work once a year to raise funds for prospective scholars. So far, I’ve been part of three successful fundraisers which were such insightful experiences. We staged an opera, a concert participated in by UP College of Music stalwarts, and most recently, a blocked screening of The Avengers! We still have projects in the pipeline which we will work on in the future in order to send more students to school. Aw, this was an incredibly nice post. Taking the time and actual effort to generate a great article… but what can I say… I hesitate a whole lot and don’t seem to get nearly anything done.